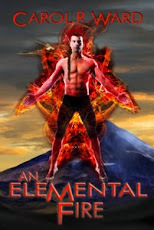 Just a quick reminder that there's still time to leave a comment to win a free copy of An Elemental Fire. You can even go back and leave a comment on any post, on either blog, from the beginning of June for more chances to win. Double your chances by leaving comments on both blogs. Contest ends at midnight, this Friday. I was pretty late with the installment for Shades of Errol Flynn last week, but that's because I didn't get it written the night before. It was pretty much my own fault, Tuesday is cheap night at the local Cineplex and I went to see Snow White and the Huntsman. I admit to playing a lot of Shockwave games last week, but I think I've got it out of my system now. Maybe it was the migraines at the end of the week (brightly lit computer screens are not good for a migraine) or maybe I subconsciously realized what a colossal waste of time they are, but whatever the reason, I seem to off the games. I still play Castleville, but it doesn't require a large output (input?) of time. I'm starting a new series this week, and it requires a bit of explanation. Originally I was going to do my new series on Angels alone. But then I remembered when I did the series on the Seven Deadly Sins I was able to find Heavenly Virtues as their counterpart. So then I thought I'd do my new series on Angels with their Devilish counterparts. And then I thought I'd do them in alphabetical order. Yeah, well, then I started doing the research. Individual angels don't have an exact demon counterpart, although I suppose if one were sufficiently motivated one could eventually match them up. But they still wouldn't be in alphabetical order. So, what I am doing is picking out a couple of interesting angels and a couple of demons for each letter of the alphabet - a new letter each week. Tuesday On Random Thoughts Part A of my new series, Angels and Devils. 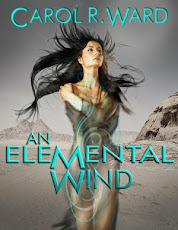 On Random Writings I will be reviewing a book I recently finished on my Kindle. Thursday we have Chapter Twenty of Water (on Random Thoughts) in which we start to find out how life changes for the twins now that their past their tespiro. FridayI'm on a Flash Fiction vacation this month on Random Thoughts, and a semi-vacation for poetry on Random Writings, which means I'll be posting poems from my favourite poets instead of original work.